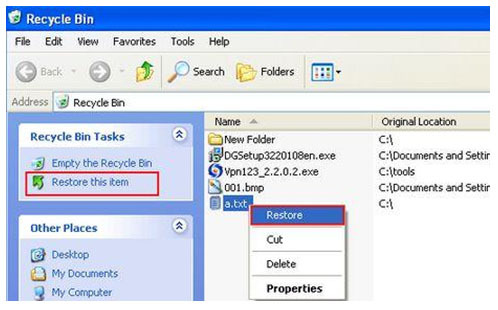 Home » Technology » How to Recover Deleted Files From Recycle Bin? Since information has started becoming digital, their protection has become essential too. But computers can be tricky at times and can perform unintended functions. Also, we can mistakenly take any step which causes unintentional loss of data. This is something we all tend to avoid but unfortunately, our important data can actually be lost without our knowledge. 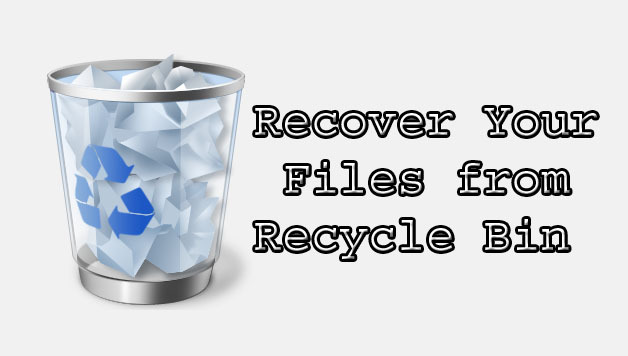 Although recycle bin is a great feature in Windows which can easily give back your deleted files but when the files are permanently deleted, it doesn’t serves as a respite. To get back our data without any issues, there are several different ways which we can use. Below are some of the most effective ways through which you can recover your deleted files even if they are deleted from your recycle bin. There are various data recovery software tools which are built to get your files back but however, only few of them are capable enough to do the job in a good way. You can also avail free data recovery software which will help in recovering your files without any cost. While choosing data recovery software, be sure to know about them and read a few testimonials. According to us, EaseUS is probably the best data recovery software currently available which can help you in getting back your files even if they are deleted from recycle bin. The easy steps below will give you a brief idea of how you can proceed with EaseUS to recover your deleted files. If you are aware of the location from where the files are lost, you need to choose that in EaseUS. This will help the software initiate a scan as per your preference in the next step. However, if you are unaware about the location, you can simply search the drive in which the file was located. You need to select the location to begin with the next step which is to scan the particular location. Step 2: Quick Scan or Deep Scan? EaseUS is a brilliant piece of software which provides you with two varying degree of scans with different intensities. The quick scan is effective if you have recently lost something or any minor file has been lost. It performs a quick scan to find these files within the desired location. Most probably you will find your lost files with the quick scan. But if not, you can use the more advanced Deep scanning feature. This scan will surely show your deleted files which you can then recover in the next step. 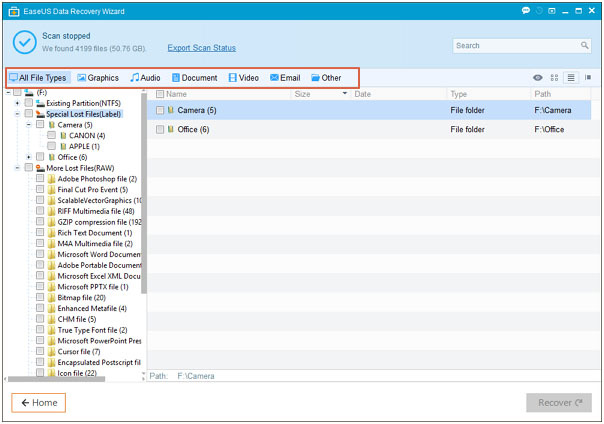 Scanning is as simple as clicking a button in EaseUS. Once you are shown all the files which are available for recovering, you can choose exactly which files you want. Of course you won't want all the files which are deleted because some might actually be unnecessary. Thus, you can precisely select the important files which you want to recover and with just a click of a button, all the files will be successfully restored to the destination you want. It is extremely simple to recover your deleted files back through reliable file recovery software like EaseUS. Windows has provided its users with an amazing feature which can help them in times of mishaps with deleted files. But to carry out this restore and use the feature, you need to have admin access to the computer. After the permissions are all sorted out, you can simply choose any folder and right click on it. You will then see an option which says "Restore Previous Version". Just click on it and you will get the previous versions of the files back, which means the file must have been recovered. However, there are some disadvantages of this feature which makes it slightly unreliable. If this option is unavailable to you, there is hardly anything you can do about it. If you are a Windows user, you might be fully aware of the system protection settings. It is a set of settings and configurations which you can tweak in order to take advantage of the operating system's protection mechanisms. Although it can be used for various applications, the best way you can use this method is to recover your deleted files. But to avail this facility to recover files, you must first turn these settings on. If not, you cannot recover your files with this method. To get back your files, you must select the drive in which the files were located and then click to configure. After doing so, you will be shown an option to "restore system settings and previous version of files" which you can choose. Once you do it, the method will help you in getting back the files which were deleted accidentally. These are the various methods through which you can get back your deleted files. Although all of the options are good but the most reliable way is to trust data recovery software to do the job for you. They are made for this reason and can execute really well in such situations. So when you have lost your files unknowingly, don't panic and apply any of these methods to get your files back. Excellent writing. I recently deleted some files from the system, by mistake. Later, I struggled a lot to bring back my system to the normal mode as it was some configuration file. I hope this software is useful in such a situation. Thanks a lot for the suggestion. Thanks Nirmal for sharing such a informative article on this Hot Topic and all above mentioned Recovery steps using this Tool really very useful to recover deleted Data…….! !